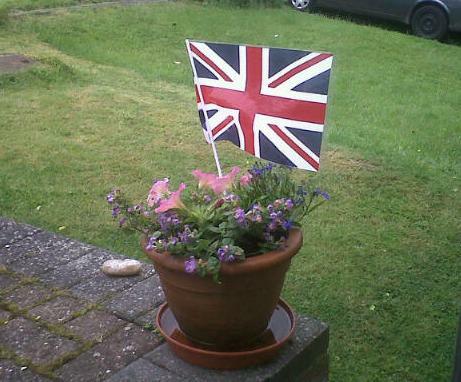 How do you celebrate the Jubilee? Given the choice between watching Prince Charles on TV, mowing the grass or reviewing a book about Central and Eastern Europe and the European Union, I knew what I would go for. There is enormous literature on the influence of the EU on the states of CEE, both as candidates and (latterly)new members of the Union, embracing a gamut of mechanisms, institutions and policies. You almost feel there should be a moritorium of some kind. 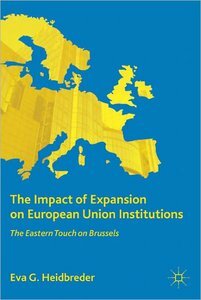 But a (thankfully) smaller body of work, however, asks what effects ongoing enlargement into CEE has had on the Union itself. A lot of seem preoccupied with how the influx of CEE new members will impact the efficiency of EU decision-making or reshape coalitions and bargaining between members. Eva Heidbreder’s new book, however, takes a somewhat different tack, questioning two (implicit) assumptions that seem to underpin many debates about the relationship between enlargement and integration: that changing patterns of intergovernmental competition and cooperation drive integration; 2) and that there is a trade-off between widening tending to obstruct deepening. Her study examines the extent to which the extra powers delegated to the European Commission to manage the accession of CEE states which the EU in 2004-7 resulted in permanent extension of the Commission’s authority. Her theoretical point of departure to my great interest was the neo-functionalist paradigm, which crudely stated sees European integration as underpinned by pressures for larger scale, more functionally efficient policy solutions and so driven – somewhat in the face of existing national state structures – by process of ‘spillover’ whereby integration in one sector created pressures for the integration of related sectors. Once widely considered obsolete because of its apparent inability to political processes of political competition, neofunctionalism has seems to have enjoyed something of a revival in EU studies in recent times. Drawing on ‘neo-neo-functionalism’ reworking and updating by Philippe Schmitter and others of classic texts of 1960s and 70s Heidbreder argues, that extensions of the European Commission’s competencies in policy sectors pioneered during Eastern enlargement may ‘spill in’ to the broader EU system, effectively extending the acquis as a side effect of enlargement. Such ‘spill-in’, she argues, can be traced by examining the post-accession growth Commission’s ‘action capacities’ in different fields where the conditionalies presented to candidate states ran ahead of the existing acquis in the old EU member states. Picking out five policy areas, – institutional capacity building; minority protection; cross border cooperation, nuclear safety; and anticorruption she asks if, Eastern enlargement has, in some instances have reinforced integration. Such ‘spill-in’ occurs neither automatically nor contingently, but is dependent on the nature of a particular policy field, in particular, and the ‘modes of governance’ used by the Commission to administer it. Drawing on Theodore Lowi’s neglected ‘arenas of power’ approach to public policy – and incorporating his argument that policy processes shape institutions rather than vice versa – she distinguishes four types of EU policy-making: regulatory; redistributive (zero-sum correction of inequalities); distributive (targeting resources to meet particular groups’ needs); and constituent (making rules about rules). Where, as with capacity building and cross-border co-operation, the Commission relied on loose, informal governance mechanisms of or (as with minority protection) framed policies as distributive programmes targeted at particular groups, member states were willing to allow a degree of ‘spill in’ from accession – even when as with the cross border co-operation and Neighbourhood Policy this entailed the Commission moving into sensitive fields such as foreign policy. However, where implied formal regulation as with nuclear safety or anti corruption, she finds, member states blocked it, either relying on international bodies outside the European union to achieve functionally desirable end or (as with anticorruption policy) simply allowing double standards between old and new EU members to persist. Despite a sometimes dense and desiccated academic style, the book was a well argued original one, which keep me reading even as the wall-to-wall royal coverage started to fade. As being theoretically thorough and engaging, it does an excellent empirical job in surveying and picking paths for the reader through the tangled forest of regulations, conventions and instruments that make up EU governance. My one nagging doubt was whether member states’ underlying reason for sometimes irrationally rather blocking integration in relatively low salience issues like nuclear power could credibly be seen as a fear of ‘political spillover’ in which national actors and citizens would re-orient themselves towards supranational European institutions. Given the deep illegitimacy of EU institutions among the Union’s citizens and deep ‘democratic deficit’ has such spillover ever happened – or could it – other than perhaps in very anaemic form? The book’s broader finding that integration can often take place most easily through the creeping extension informal governance offer an interesting lens through which to observe ongoing EU enlargement into South Eastern Europe which – if the Euro holds together – is likely to unfold over the next 10-20 years, the last chapter of the enlargement story, I would guess. It might perhaps even offer some pointers as to how the Commission, widely considered to have been sidelined, if not emasculated, by member states in the new political climate of austerity and debt/currency crisis management, might reassert itself.